"The Wizard of Oz" turns 70 with a massive party in Central Park. 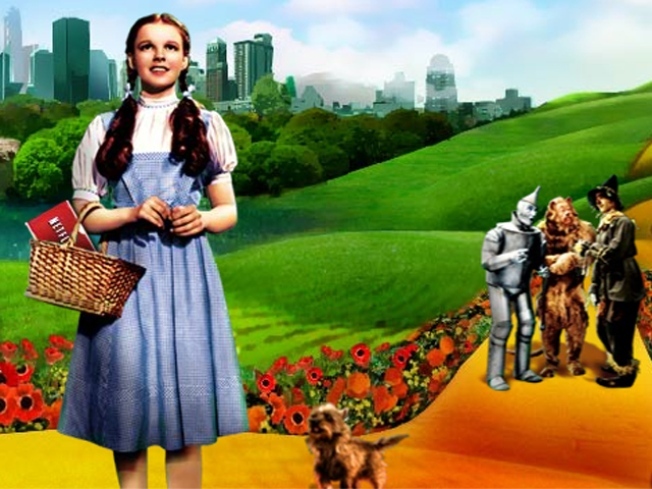 BECAUSE BECAUSE BECAUSE: “The Wizard of Oz” is turning – wait for it – 70 this year, and Netflix is throwing a big ol’ party in Central Park. Come for a concert of the movie’s songs, performed by the likes of Jennifer Hudson and “Dancing With the Stars”’ Julianne Hough and produced by ?uestlove of the Roots; stay for a screening of the film itself. Its message may be 70 years old, but it’s never gone out of style. 7:30PM. THE GIRL FROM…: Strange that Brazilian samba star Bebel Gilberto would choose ultrahip downtown sleazery The Box as the venue to pop the cork on her new album “All in One,” released today – but then, considering that the disc features the handiwork of It Producer Mark “Amy Winehouse’s Secret Weapon” Ronson, not so strange after all. Join her as she coos new tunes like “Chica Chica Boom Boom” at 7:30 and 9:30PM. ALL-AMERICAN: Fittingly, “American Idol” runner-up (and off-Broadway “Toxic Avenger” star) Diana DeGarmo stars in “Liberty,” the musical about a French immigrant who lands in New York harbor in 1884 (give up? yep, she’s the Statue of Liberty). Catch the one-night-only concert performance, produced by Theresa Wozunk, tonight at the Acorn Theatre, as part of the New York Theatre Festival. 8PM.